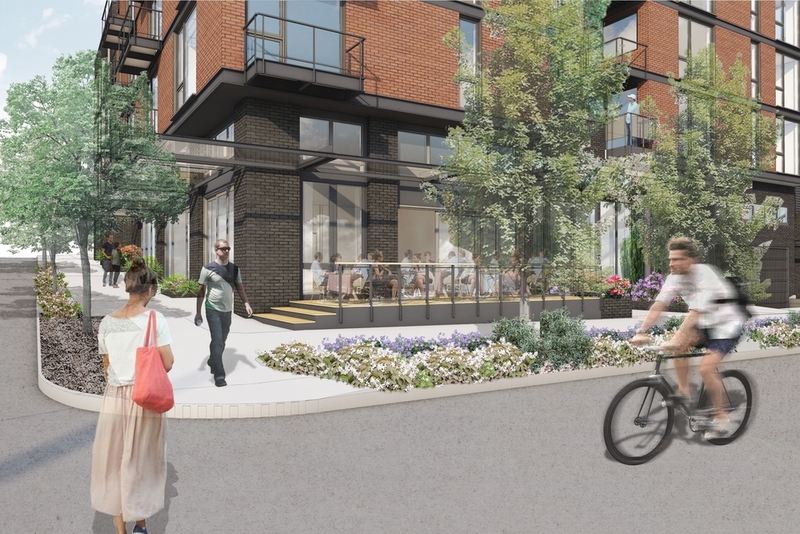 This four-story mixed-use project aims to add 48 apartments and 3,500 square feet of new commercial space to the Wallingford neighborhood of Seattle. The project is centered around a courtyard that opens up to Woodlawn Avenue to the west which allows light and air to penetrate into the volume of the project. With excellent access to transit and amenities, the project seeks to add to the established fabric of the neighborhood while simultaneously injecting a contemporary approach to architectural design. With an emphasis on alternative modes of transportation, the team is interested in supplying the tenants with a large amount of bicycle parking combined with a dedicated bike work space.